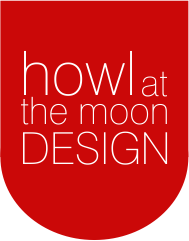 Howl at the moon is a Johannesburg based design company that focuses solely on the small and medium business. We offer a comprehensive range of services. From web hosting and web design to graphic design, printing, marketing as well as promotional goods and advertising services. We focus on providing small and medium businesses with full agency services, at a price they can afford. We are all about providing value for money - we are always focused on our clients budgets and we quite often suggest solutions that could save you money. We continually aim to improve our service to our clients. For instance: We carry stock of printed goods for selected clients, ensuring that they never run out of an important item at a critical time. This is one of the many examples of our unique approach to business.